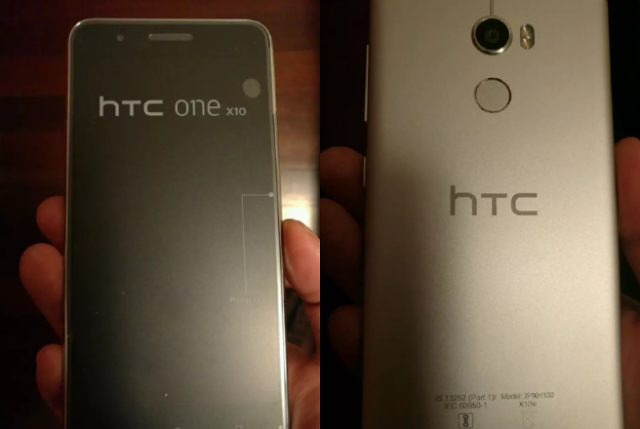 HTC One X10 Live Images leaks out! HTC is expected to unveil its budget-segment One X10 smartphone at Mobile World Congress (MWC) in Barcelona. This device was first leaked out in January, Now we have new photos that purportedly show the front and rear of the HTC One X10, courtesy of a post on Weibo. It appears that the device will come with unibody aluminum design and a rear fingerprint sensor. According to rumors, the HTC One X10 will feature a 5.5-inch 1920x1080 display, 16.3-megapixel rear and 7.9-megapixel front cameras, an octa-core MediaTek MT6755V/C processor, 3GB of RAM, and 32GB of storage.